This is one tough plush toy! Well worth the money. 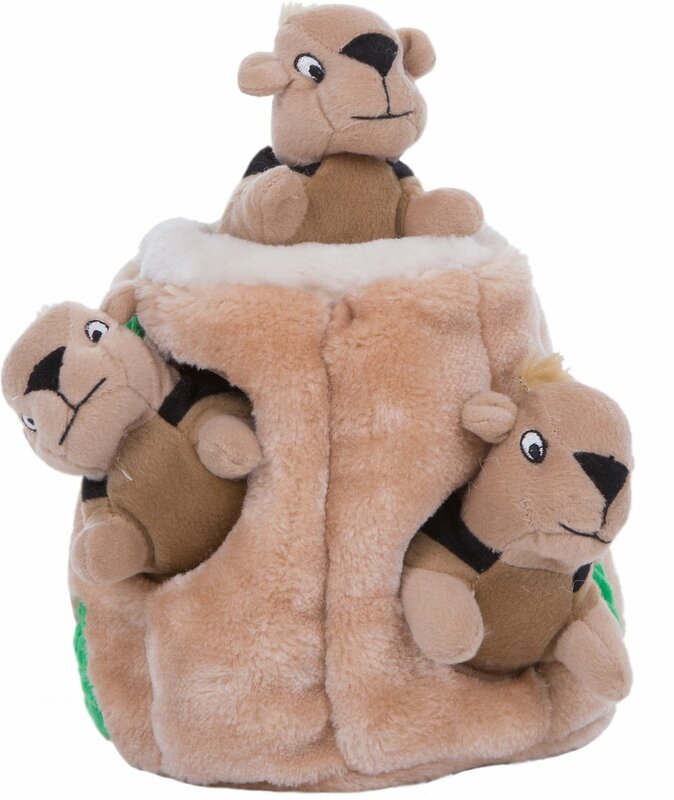 I was skeptical because I never had a plush toy last more than about 90 seconds with any of my dogs. This one lasted more than a week before Reilly managed to chew through the two closest holes. But he's still playing with it two months later. Only one of the squirrels has bit the dust so far and he's still whipping the log around, sometimes putting his head in it. It is by far his favorite toy, and it has been pretty entertaining for us too. Well done! I have a 60lb mutt who definitely has some hound in him but isn't a super chewer and can be selective about what he rips up. I really liked the concept of this toy for him and hoped it would keep him busy for a while. He really enjoyed it but was able to destroy the log part very easily in the first few days he had it, quite frankly without really even trying to do more than get the chipmunks. He likes the chipmunks and refuses to even rip the tags off them. Long story short, he and I both liked this toy but I wish the log was a bit more durable. My husband and I have 6 large dogs. I bought the giant size for about $10. 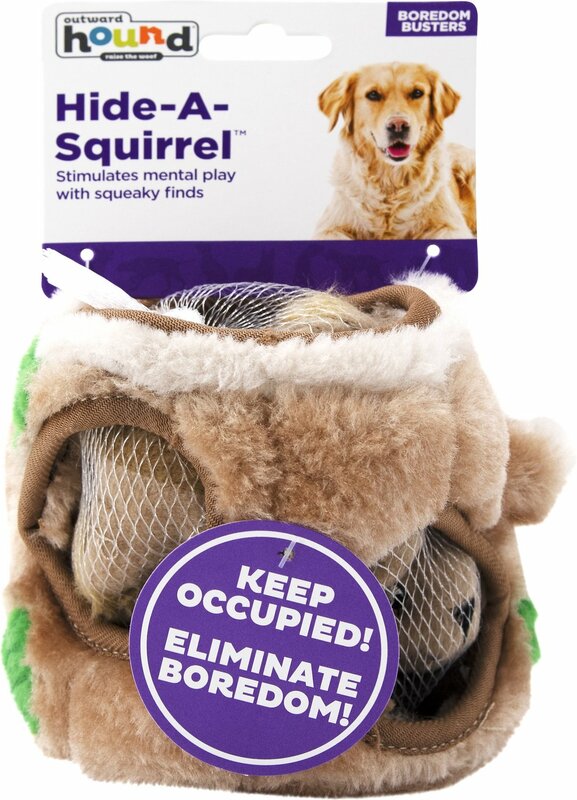 It was a great Christmas gift for the dogs since I need to buy so many. I bought extra squirrels and they love just carrying them around once they get them out of the log. The price of the toy I got many little ones with it as well, so no dog fights. 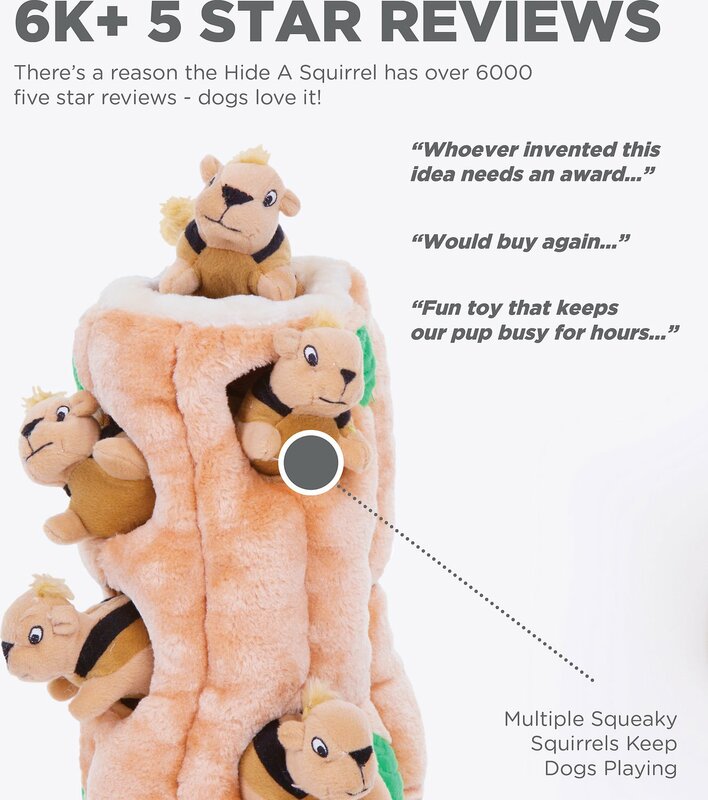 I’d buy again or maybe just more squirrels. 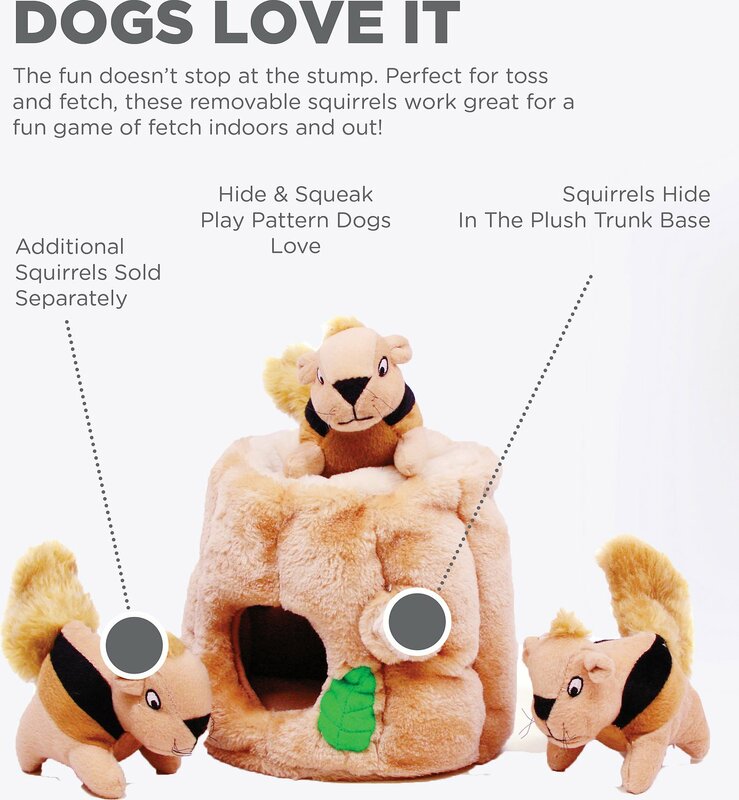 My dog loves her Outward Hound Hide a Squirrel Puzzle Dog Toy! She learned to pull the squirrels out right away, and seemed pretty proud of herself. She is a Chihuahua Shih Tzu mix, about 12 pounds, and I ordered the medium size. It seems to be the right size for her. She has a hard time making the squirrels squeak. I bought this toy for my neighbor's dog, too, and he loves it. Met his owner at the door when she came home from work with the empty tree in his mouth. She immediately stuffed the squirrels back in for him--just what he was demanding!